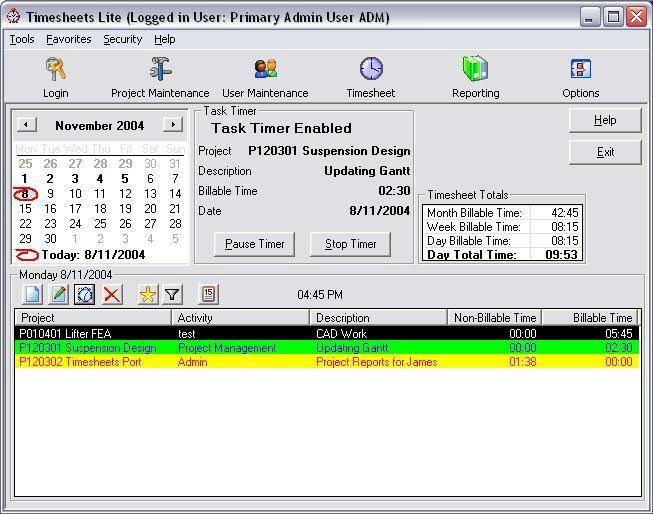 Timesheets Lite is our free timesheeting software. It is ideally suited to a project based environment where you need to track your employees time against projects. Centralised database allowing multiple client installations and one secure database location. Uses Microsoft Access database allowing you to generate your own reports easily using Access.